One of our most popular tungsten rings is now available in white tungsten. This wedding band is completely maintenance free and scratch resistant. It features high polish edges and a brush finished flat center with two grooves. The inside of this ring has the comfort fit design. 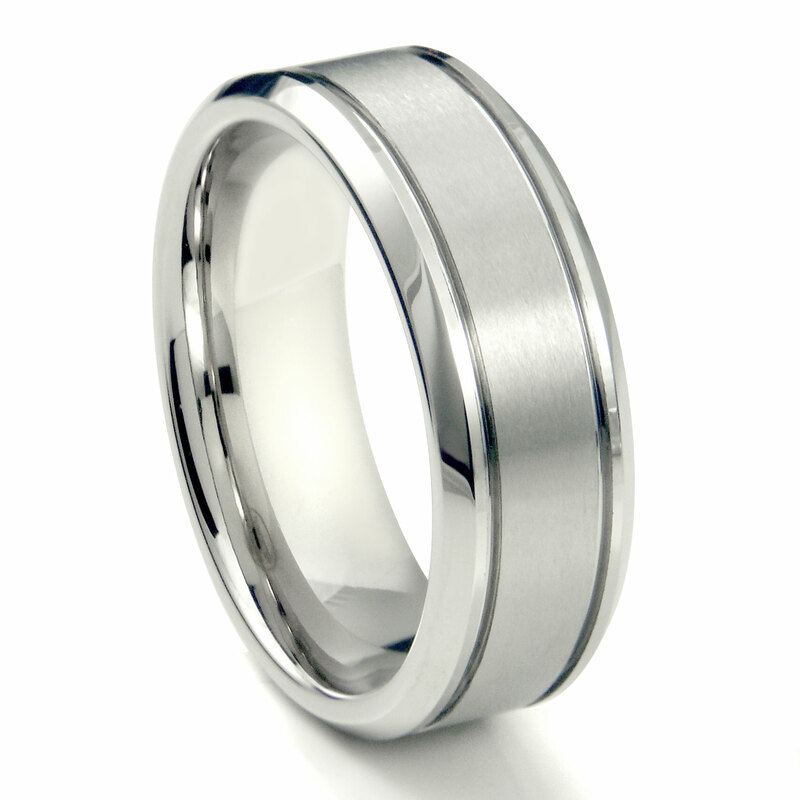 We also make this same style in grey color tungsten carbide, in titanium and also in cobalt chrome. All sizes are in stock for immediate delivery. This is an awesome ring. Priced it at other places and the price was unbeatable. My husband is very happy with it.